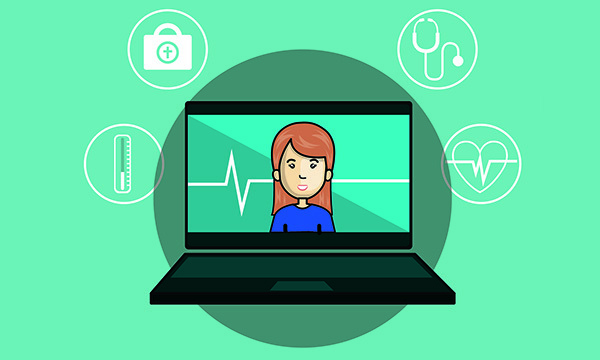 A hospital trust in Yorkshire has expanded its telemedicine service so that outpatient appointments can be conducted with people in a range of settings, from prisons to care homes. More than a decade ago, Airedale NHS Foundation Trust in West Yorkshire began using a video link to deliver consultations to prisoners at a high-security jail. It meant prisoners no longer had to be escorted to the outpatient department. ‘Being handcuffed to a prison officer was embarrassing and sometimes the outpatient department would have to be closed to the public, so it was very disruptive too,’ says Rachel Binks, nurse consultant for digital and acute care at the trust. The technology worked so well that hospital staff began to think about whether it could be used to improve care for other groups of patients, particularly those with long-term conditions such as heart failure and diabetes. In the most recent development, the trust has joined forces with a commercial company, Involve, to provide a range of telemedicine services for more than 500 care homes, as well as to the prison and to people in their own homes. The services are run from a telemedicine hub based in a refurbished ward at Airedale General Hospital. ‘Nurses come to work here each day as if they were on any other ward,’ says Ms Binks. It is a 24-hour service, and includes GP triage, with healthcare professionals remotely advising whether a GP visit is necessary. ‘More than half the time we can deal with what’s wrong ourselves, without a GP being needed,’ she says. Staff also refer patients to other professionals, including practice or palliative care nurses. ‘And we can bring them directly to hospital if they need to come in,’ says Ms Binks. Being part of the digital revolution doesn’t have to be about cutting-edge technology. Calvin Moorley, a senior lecturer in adult nursing at London South Bank University (LSBU), says it’s up to every nurse to make the most of social media to enhance their professionalism. Alongside informing health promotion, social media can also help to identify and share good practice, with nurses playing a key role in ensuring that patients and their loved ones access accurate information. Carrying out interviews with young people as part of her postgraduate studies led mental health nurse Emma Selby in a direction she could never have imagined. Recognising a growing need for better adolescent mental health care, she has been seconded to lead the development of her MyMind app, which launches this autumn alongside a website. By sign-posting users to thoroughly checked sources of information and support at an early stage, she hopes to increase young people’s resilience and means of self-help, possibly reducing the numbers needing a referral to mental health services. ‘I want young people to become more aware of the online help that’s available,’ says Ms Selby. ‘We need to move away from the idea that if you have a mental health problem one-to-one counselling is the only solution.’ The app also enables service users to manage their recovery, with appointment reminders, access to care plans and video messaging. Young people have been central to the project throughout, helping to influence the app’s design and the language that is used. ‘For instance, when I would talk about depression, they would say that it means being sad or in a low mood,’ says Ms Selby. Indeed, finding a common language proved to be one of the biggest challenges, with young people, clinicians and IT specialists working alongside each other to create the end product. ‘Often none of us could understand each other. But the only way it could be clinically effective was if everyone came together,’ she says. Some were initially critical of her involvement. ‘Nobody quite believed a nurse should be doing this,’ says Ms Selby.